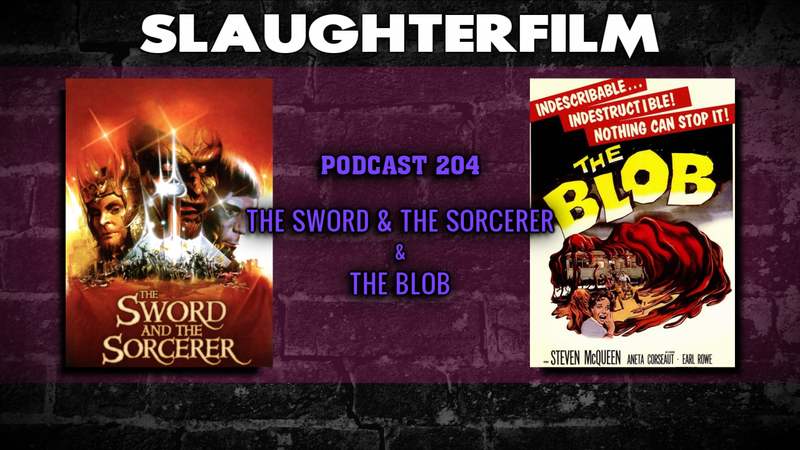 This week Forest reunites with sword & sorcery, & Roger Corman with The Sword & The Sorcerer. Cory concludes his exploration of vintage horror films that have found their way into The Criterion Collection, with The Blob. The Horror Duo also chat about how they spent Friday the 13th -- falling asleep drunk and playing the classic NES game. Queen Kong makes a return, Kevin Smith's new film Yoga Hosers & Leatherface, the next installment of the Texas Chainsaw legacy. For more Slaughter Film news and reviews, as well as show notes and special events, make sure to visit our website; SlaughterFilm.com.